Portavo 904X Multi is a complete Portable Liquid Analyzer for measuring the pH, conductivity or oxygen of the industrial liquids. 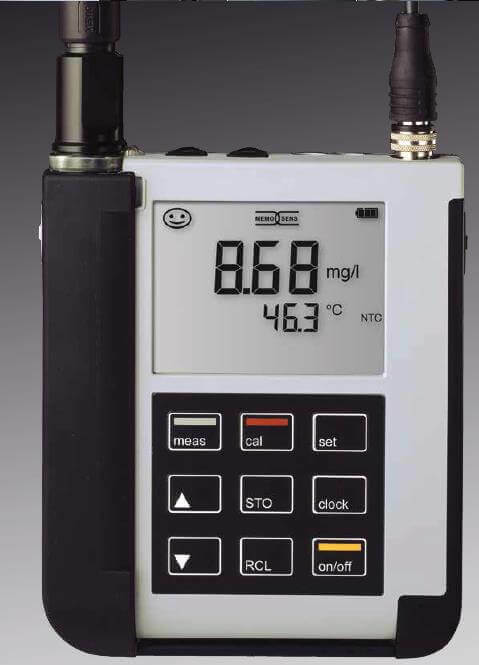 It is the world’s only portable Analyzer with IECEx Approval for measurements up to Zone 0/1. Compatible to almost any analog and memosens process sensors, the analyzer enables direct on-site testing of process measurement points. Memosens sensors with different parameters can be checked without changing the sensor cable! Portavo 904X Multi portable liquid analyzer comes with a datalogger up to 5,000 values and with over 1,000 hours of measurement with a single set of batteries. It is equipped with Micro USB port and Paraly SW 112 software. The Paraly SW 112 software enables user-friendly management of all recorded data. The high-performance polymer housing of the portable liquid analyzer ensures low water consumption and high impact resistance. Its mineral glass display is perfectly readable even after years. Our Portavo boasts to be the world’s only portable device for liquid analysis in hazardous locations and is ideal for applications in process industries.